A buddy of mine mentioned I should see this place while I was in LA. 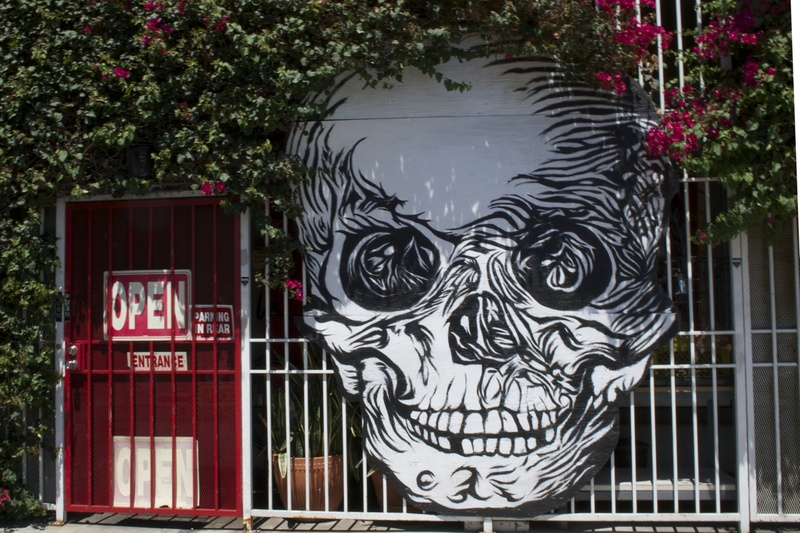 It sits on Hollywood Boulevard, outside of the celebrity culture, and except for the giant skull, it would be a rather unassuming building. 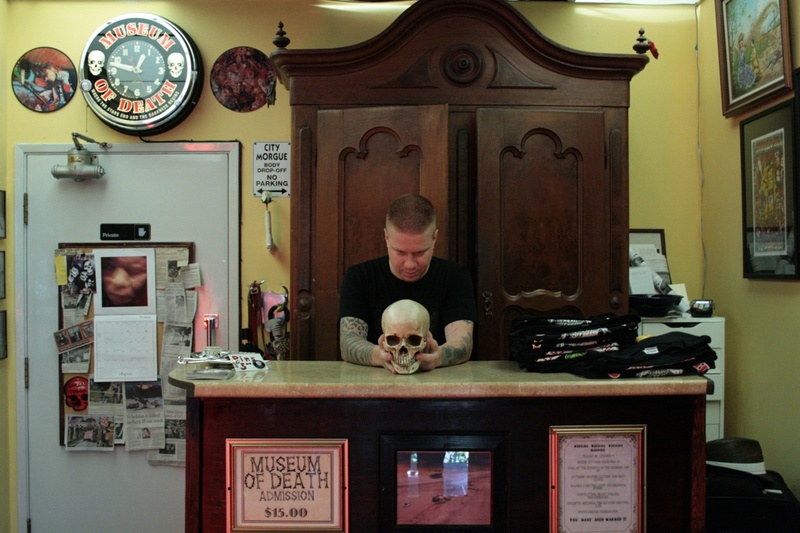 Inside, The Museum of Death is a wunderkammer of the macabre. Serial killer art, execution methods, autopsy and embalming equipment, skulls – human and animal, and homicide photos are just some of the things that you will find when you pass through the red curtains in the lobby. I was kind of prepared what to expect. But this did not diminish the intensity of the experience, the memento-mori-ness of it all. It is a reminder how brief our lives are, but also the inhumanity we potentially possess. Its that niggling little splinter, distracting us from the beautiful freakshow of our lives. The standout items from the museum was the skull collection, the LP of Bobby Beausoleil’s soundtrack to Lucifer Rising, the signed Hajime Sorayama litho, and the tribute to GG Allin. I enjoyed my visit immensely. Eric (or is it with a ‘k’?) was nice enough to have a chat about a variety of related topics, including various books and Aghoris. And I picked up a pretty sweet souvenir T-Shirt to help kickstart a collection. This entry was posted in Uncategorized and tagged death, L.A., photography. Bookmark the permalink.